With August being the BEST MONTH OF THE YEAR your Saturday nights are about to get even better!! 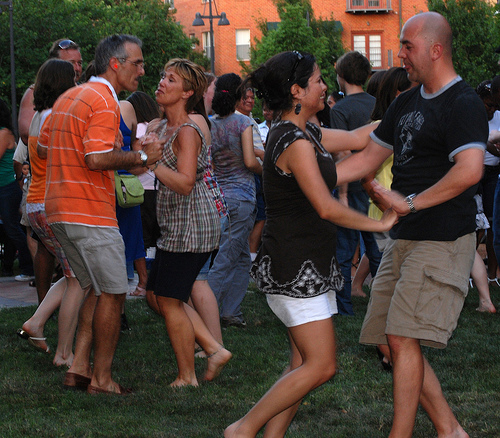 Spice up your Summer with live salsa music every Saturday at Beckert Park in Addison Circle. Addison’s Summer Event Series continues with Salsa Saturdays. You can learn to salsa dance from experts of The Dance Council at 7:00pm and admission is free! It’s all done outdoors so bring some dancing shoes, sneakers or even go barefoot! (If you’d just prefer to learn by watching, be sure to carry a lawn chair, blanket or picnic mat But try to stay outta the way!) The live music will continue on at 8:00pm with a different band/group featured each week. Continue to salsa as the music fills the air of Addison Circle. If you’ve got ants in your pants and you need to dance, then head over to Addison for the Free Salsa dancing and music this Saturday, or next Saturday or even the one after that! So long as it’s within the month of August! Join us in Addison as we’re Dancing in the streets! It’s HOT enough outside but summer in North Texas just got even spicier with Summer Salsa Saturdays! See you at Bekert Park! By the end of the night you may be dancin’ like these two!